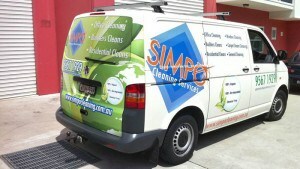 Simpo Cleaning is a family owned cleaning company which has operated in Sydney for more than 22 years. We are dedicated to employing, training and supporting excellent staff. As a result, the company has been able to put together a team of motivated and highly skilled employees who are much valued by our clientele. Its no coincidence that many of Simpo’s clients are longstanding as Simpo are committed to building ongoing relationships with our clients through regular communication, ongoing quality monitoring and a dedicated manager for all properties. Combined with a commitment to the highest safety and health standards, the latest equipment, and attention to detail, Simpo Cleaning Services stand apart. “Simpo coordinated the cleaning and maintenance of my house and garden in preparation for sale. They are reliable, punctual and professional and their attention to detail is amazing. I never thought my house could look so good! Having the one company to complete all my requirements saved me so much time. I would recommend Simpo to anyone seeking a problem free and high quality result.” Michelle Walsh.